The Second International Conference on Advances in System Testing and Validation Lifecycle will take place August 22-27, 2010 in Nice, France. Altreonic presents its results from the ITEA EVOLVE project under the title "Interacting Entities Modelling Methodology for Robust Systems Design" on Tuesday, August 24. See attached paper. 1. Altreonic presents its solutions at Hannover Industrie Messe. Reliable and trustworthy systems today requires engineering efforts at the system level. Altreonic provides solutions enabling you to develop and certify your next high reliability safety critical application. Visit us at Hannover Messe 2010, 19-23 April 2010, Hall 9 Stand F30. Bring the printed ticket with you when visiting the largest industrial fair in the world; It is valid for the whole week and gives you free public transport to the Messe. Embedded World 2010 Nuremberg, Germany, from March 2nd to March 4th. Embedded World remains the world's undisputed biggest get-together for the international embedded community. The exhibition set another new record in 2009 with more than 700 exhibitors, and some 16,000 trade visitors. Embedded World 2010 will again be the opportunity to see the latest trends and evolutions in embedded technologies, for hardware, software, tools and services. We're looking forward meeting you on our booth 11-102. Please do not hesitate to contact us if you would like to receive free entrance tickets to this exhibition. ESEC, Tokyo, Japan, from 12th till 14th May, Asia's largest embedded systems technology expo. East Hall 5 34-8. OpenCookbook is Altreonic's web portal based product for developing systems or products supporting the engineering process from early requirements till the product is released for production. It implements a formalised engineering process providing tracebility between the different project entities (requirements, specifications, models composed of entities, workplan, development, verification, development and validation tasks). The major improvement of this release is the generation of the dependency tree, automatic bidirectional relationship links and a hyperlink document generator to produce a timestamped snapshot of the whole project. OpenCookbook, available for free as a set of drupal modules, can be downloaded from our website. Think before you begin. Some people might call this wisdom, but it is at the core of systems and software engineering. It serves two main goals: firstly to analyse and to understand and secondly to plan and to predict. The core of systems engineering is to think ahead. Yes, it might look like it takes more effort but's that often because the team is not yet well versed in it. Training and experience is important. 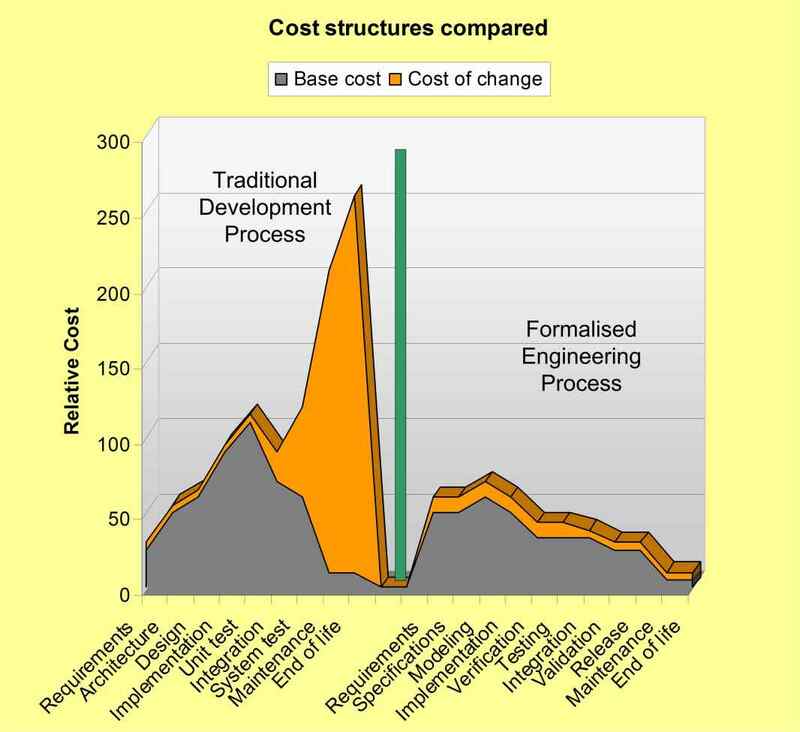 Once achieved, results will be reached faster but the main gain is that the cost of redesign is less likely and also much lower. Thinking ahead means control of the process and being in charge. Read it all in the attached leaflet. To download the pdf file(s), register first and log in. If you have any problems contact us. Altreonic participates in the Flanders Drive ASIL project. It's full title is "Safety Integrity Levels in Automotive: from requirements towards a validated system". In this project Altreonic will contribute by integrating awareness for the selected Standard's compliance in its OpenCookbook environment. The specific and measurable goal of this project is to provide each of the Flanders’ drive partners with the capability to execute projects in appliance to SIL (Safety Integrity Level). A new white paper on Altreonic's methodology and how it is applied in OpenCookbook, our environment for supporting projects from early requirements till the release of the product has now been made available. Altreonic's research partner Open License Society participates in the ITEA EVOLVE project (Evolutionary Validation, Verification and Certification) with partners from Belgium, Spain, Finland, Sweden, Portugal. For Belgium (Flanders) there is a participation of Barco, Melexis, TriPhase, Open License Society and K.U.Leuven with funding approved by IWT. In this project Open License Society acts as the research partner for Melexis and will further research the development of "OpenCookbook", supporting the Melexis engineering flow in an incremental way. Keywords are tracebility and IEC 61508 compliance. Integration with OpenVE and SDL-RT is planned as well to demonstrate the wide applicability of the approach. See the project leaflet in attachment.